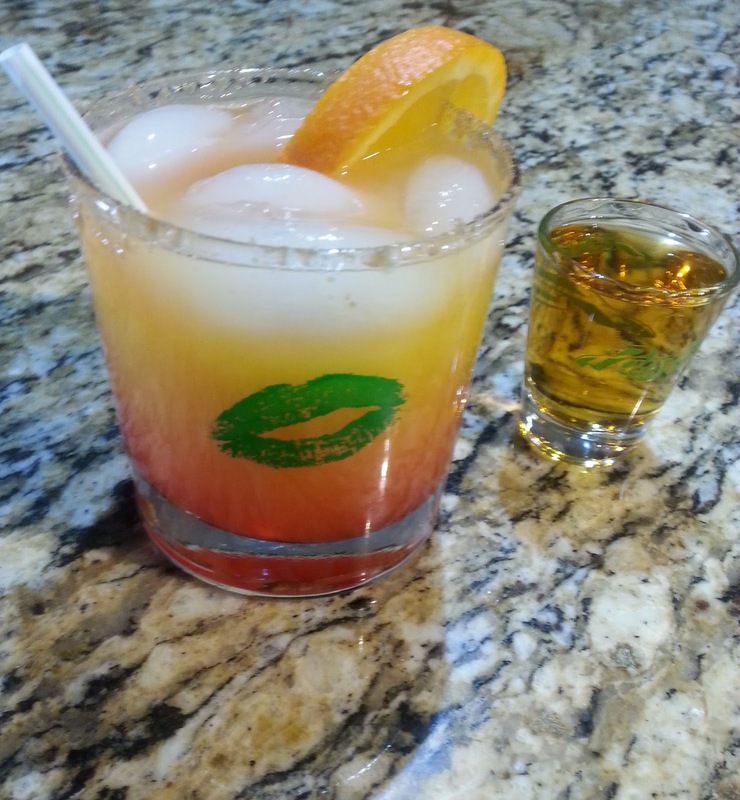 Sip on our Lovers Orange Kiss while you relax. Place brown sugar on a sauce plate. Moisten the rim with orange slice. Turn the glass upside down and dip it and twist the glass to get more brown sugar on rim. Add ice cubes, peach vodka. orange juice and splash of grenadine, mix well. Garnish with 1/2 slice orange.